The PRONECK Massager brings you comfort and relaxation anywhere you go. This portable massage device incorporates three massage techniques applied in professional spas for personalized treatments every time. The heat massage, vibrating massage and low frequency electric impulse massage work to ease tense muscles, relieve stress and improve the flow of blood in the neck muscles. After a long day at work, there is nothing that I need more than a nice relaxing neck massage. 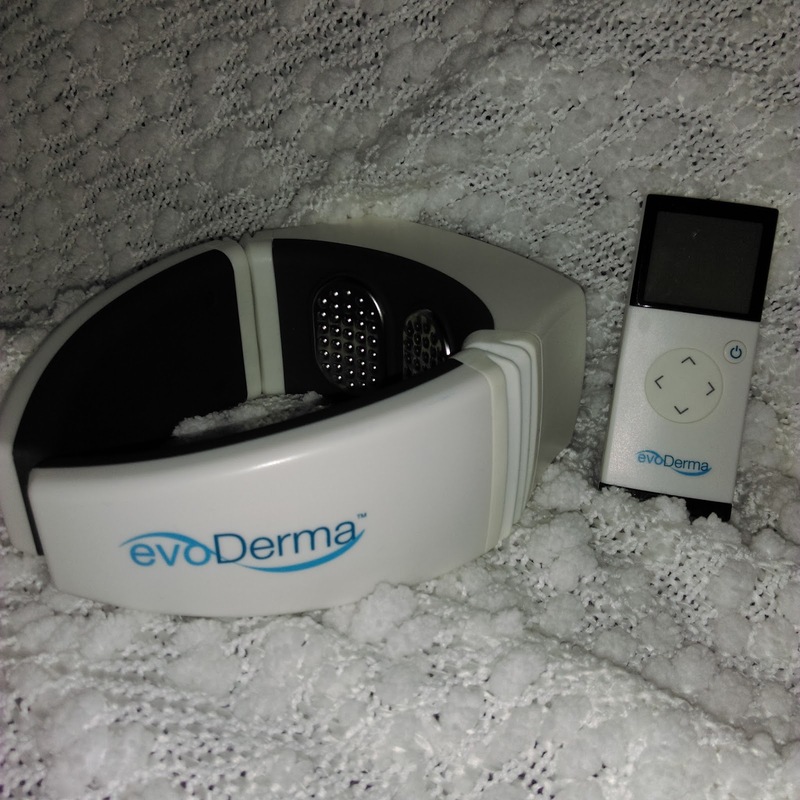 Having the evoDerma PRONECK Massager in my home, I can make that happen with a touch of button! This device fits perfectly around the back of the neck and stays perfectly in place. Then I turn it on using the remote, and put it to the settings that I like best. Within seconds my neck massage is starting. I can change the pulse, add heat, you name it. What I like best is that I can use this at home, at my leisure. No time limits, I can enjoy a nice massage for a couple hours if I want! Unlike many massaging devices, this one is wireless and can be recharged. No need to have to sit in a stationary place to use this, you can wear this while doing house work, watching tv, or just laying in bed. I personally like to use this before bed. It really helps me unwind from the hectic day, and relax. Of course being relaxed before bed really helps me get a great nights sleep. And on those off days when I sleep weird, and wake up with a neck cramp, I can toss this on my neck while I am having breakfast and help ease the pain of those kinks and knots! I have let a few family members try out the PRONECK massager, and they too enjoyed it. They all agreed that it is very relaxing and feels great. The only thing that I would change about this is the design. This is made out of a hard plastic, and while that does help deliver the vibrations nicely, but it does nothing to cushion the neck and base of the skull. If it had a foam cushion around the neck area, that would really make this a full 5 star product for me! That is a great massage. Not as advanced as some models, but get the job done!